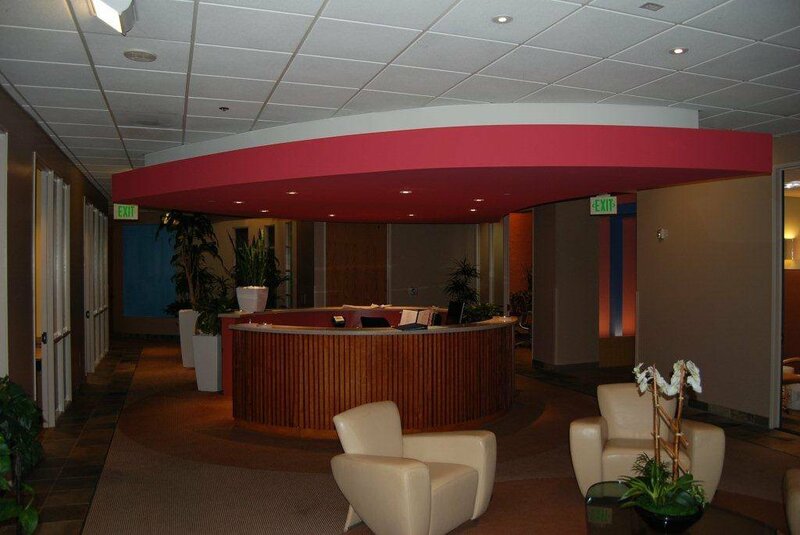 California Color Works was selected to provide painting services for the west coast offices of Scripps Networks Interactive in the Wilshire district of Los Angeles. Scripps Networks Interactive is a leading developer of high-profile, lifestyle-oriented content for many media platforms including television, digital, mobile and publishing. The company’s media portfolio includes popular lifestyle brands HGTV, DIY Network, Food Network, Cooking Channel, Travel Channel and country music network Great American Country. After moving into their Wilshire offices more than a decade ago, it was time to freshen things up with new paint and carpet. This project sounds simple enough, but it all had to happen while the office remained occupied and operational. To ensure a successful project, California Color Works worked closely with the project coordinator to understand the scheduling parameters, paint color placements, and the use the correct products, such as zero voc (no odor) materials so that not to disrupt their daily operations. Their services also included properly covering and taping all furniture and equipment, spraying of an open ceiling area with furniture and computer equipment remaining in the area, refinishing of wood panels, painting of window and door frames, and properly cleaning each area after each stage of the project. The three month occupied space painting and carpet project was completed successfully without any interruption to their daily operations. About California Color Works, Inc.
California Color Works, Inc. has been providing commercial and residential painting services for more than 40 years and has become a trusted partner among commercial property and facility managers throughout Southern California. They are professionals who focus on personal service and attention to detail. They began in 1970 as a small, family operated company that now provides painting products and services with excellent value and superior quality to building managers throughout the Southland. California Color Works always takes great care with each step of the painting process to ensure complete customer satisfaction – from selecting the right paint or coatings, to customized services, to cleaning each project upon completion. It is the difference that simply great painters make. What really sets them apart is their outstanding service provided by the teams in the field, from the project managers to the individual skills of each painter. California Color Works recognizes the value of putting a team of knowledgeable people to work for their customers. On each project you will have confidence in knowing their team effort will insure an efficiently run project and your job run right. They not only work hard to earn your business, they work hard to keep it! Entry filed under: Industry News & Conversations, Press Releases by California Color Works.